Adidas and Foot Locker Inc. on Tuesday announced they are elevating their strategic partnership to create a revolutionary initiative that re-envisions the future of creativity and speed. 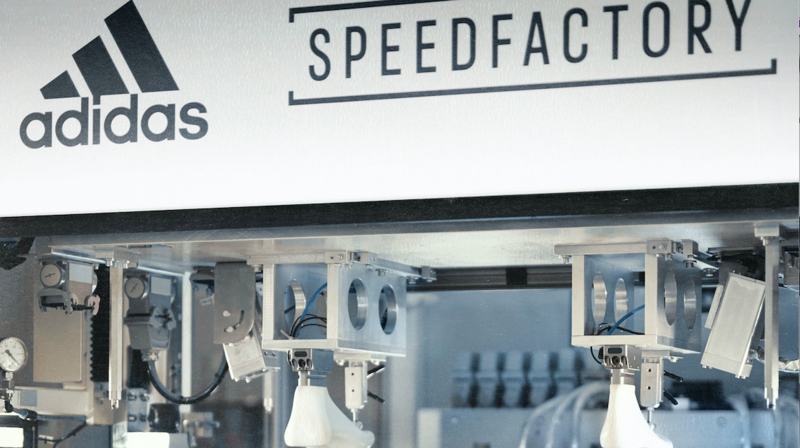 The innovative go-to-market plan empowers consumers to help drive footwear creation and trends and is powered by Adidas Speedfactory USA and Germany. Beginning this month, Adidas and Foot Locker will co-create consumer-inspired Adidas Made For (AM4) shoes across the country at various cultural events and sport moments throughout the year. The first Adidas x Foot Locker, Inc. concept will come to life with the AM4ATL collection of running shoes and cleats. Celebrating the different heritages and cultures of the players that make up a team, the design features a tie dye graphic of unified colors and represents an artistic expression of creators uniting to come together as one. The limited-edition AM4ATL shoes and cleats will make their official debut on some of the best pro football players in the game the week of Jan. 21 in Orlando, Fla. and will be available on Jan. 28 for $200 USD at Adidas.com. The limited-edition AM4ATL running shoes will be available on Jan. 28 for $200 USD online at Adidas.com, footlocker.com, champssports.com and eastbay.com, and in select Atlanta-area Foot Locker and Champs Sports stores.